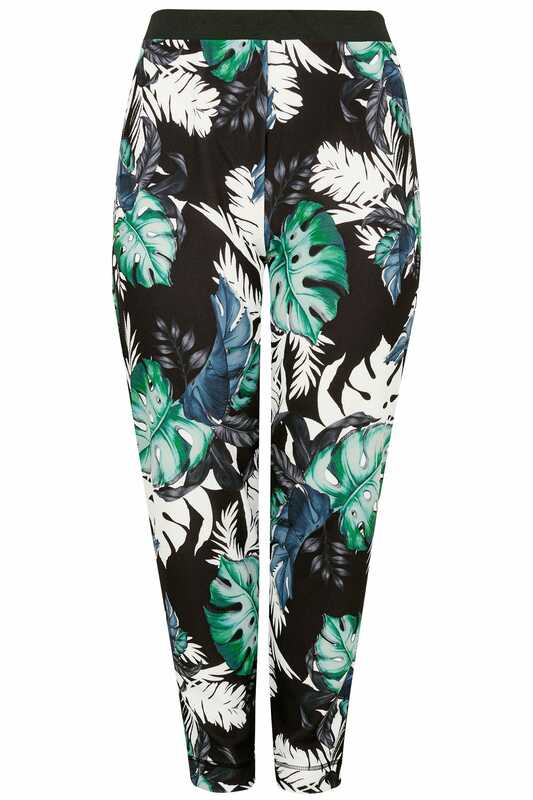 Add a tropical vibe to your wardrobe with these chic tapered trousers. 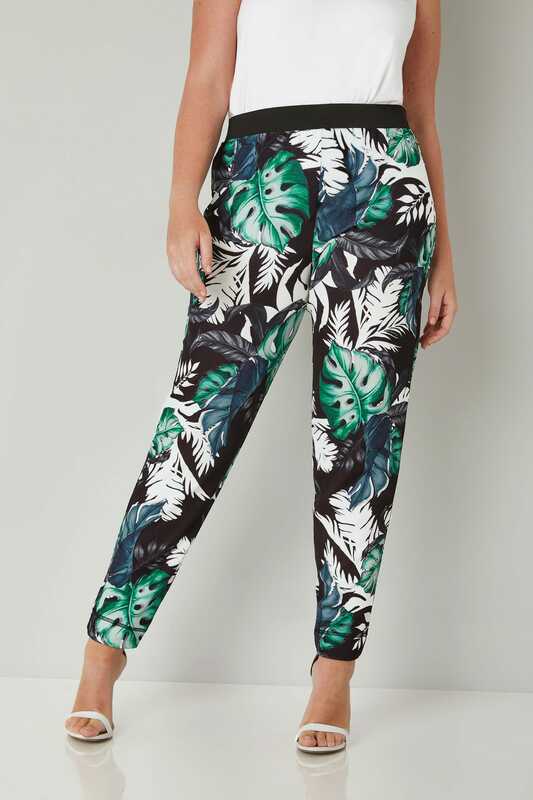 Made from a stretch fabric, they feature an elasticated waistband and cuffs for the perfect all-day fit. 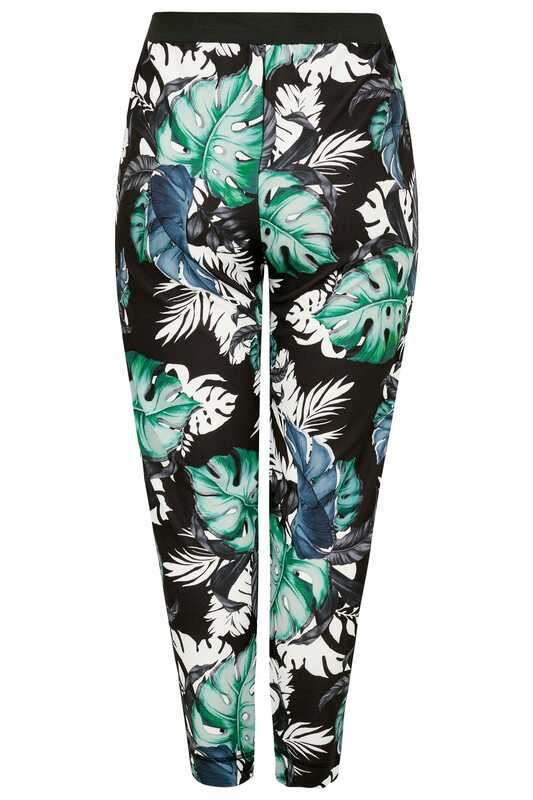 We are loving the tropical leaf print in an on-trend green hue.